One of the saddest and most frustrating things we see are moth-damaged rugs brought in by customers. This is especially so in the case of elderly customers who have kept prized rugs stored away for a while. Moths are notoriously harmful to rugs and fabrics, devouring rug fibres by the handful. As a result, you are left with a rug pock-marked with holes. It is incredible, and terrible, that these tiny creatures can wreak so much havoc on our precious rugs. So join us as we discuss how moths damage rugs and how you can prevent moth infestation. How Do Moths Cause Rug Damage? Moths grow and multiple inside rugs, that is the unfortunate truth. They are attracted to wool rugs especially as they can consume the natural fibres. Moths also prefer dark places with a comfortable temperature. This is why they nest within the pile of rugs. Especially those that have been placed in storage for a long time. However, even rugs that are not in storage can suffer from moth infestations. Once a moth has decided your rug is a suitable home, it will lay eggs within the rug pile. Eventually these eggs will hatch and the larvae are then free to feed on the fibres of your precious rug. How Do You Prevent Moth Damage? So you’re probably wondering how you can keep your rug moth and pest free? 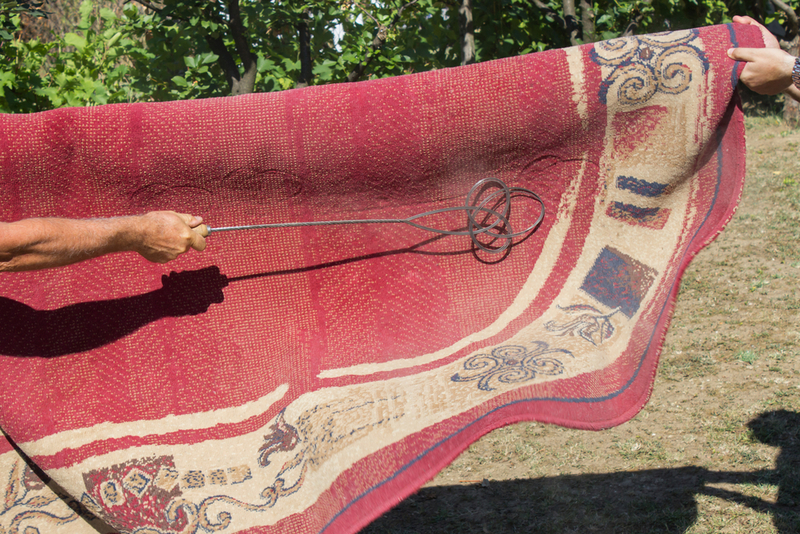 There are, thankfully, precautions you can take to help keep pests out of your precious rug. It is important to keep a close, keen eye on your rugs. If you notice your rug is starting to slough off material, then it may actually be the by-product of moths. When moths reproduce and grow, the consume the wool in your rug. They leave behind a trail that can resemble lint. At this point, your rug may just require professional cleaning to remove the pests and moth by-product as the damage is not yet significant. It is important to catch the issue early to prevent further damage. immediate treatment. Moths can consume enough material to reveal the stitching grid underneath the pile. This “grid” is usually made out of cotton or synthetic fibres which moths will avoid. As a result, if you are able to see these fibres, your rug will not only need to be cleaned of dirt and pests. It will also require repairs – so long as the damage is small enough to be repaired. It is important to get your rugs cleaned regularly. At home, vacuum your rugs carefully and regularly to try to control the level of built up dirt, but also to air out your rug a little. However, vacuuming alone is not enough to keep moths away entirely. Your rug should be professionally cleaned by a rug laundry once a year or once every two years. However, this depends on the amount of traffic the rug experiences. As a result, not only will your rug look stunning and clean all year round. It will also help kill off any moths or moth pupae hiding in your rugs. A deep clean with organic products, like those used by Woods Rug Laundry, will kill off and remove moth eggs from the pile of your rug. Okay, they don’t actually need Vitamin D, but getting some UV exposure on your rug can also help kill off any moth eggs that have been laid in your rugs. Of course, direct exposure to sunlight should be minimal, to prevent your rug from fading, however in colder, darker months, placing your rug out in the sunlight for 15 minutes or so can help deter moths from calling your rug their home. Bugs, insects, mold and bacteria thrive in moist environments. This is why it is recommended that you keep your rug free of moisture. As a result, we never recommend having a rug cleaned in your home. Home rug cleaning simply does not have the facilities to completely dry out a rug, unlike taking your rug to a professional rug laundry. A professional rug laundry is equipped with drying rooms that ensure all the moisture is removed from your rug before it goes home. Rugs cleaned at home, however, are left on the floor, with water and moisture still trapped in the pile. As a result, not only do are you left dealing with that horrible “wet dog” smell, but you’ve opened your rug up to further damage. This includes mold, rot and attracting bugs like moths. If your rug encounters any spills or stains – like animal urine – it is important to get it taken to a rug cleaner immediately so the excess liquid can be removed to prevent any further damage. 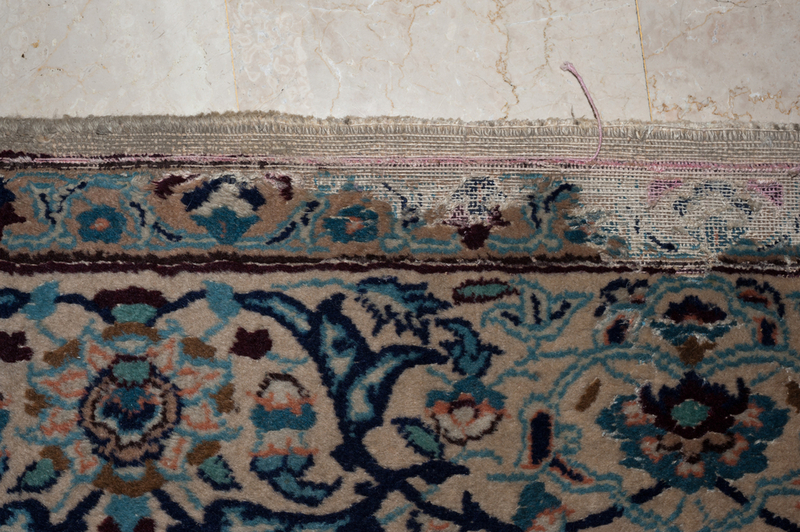 One of the saddest things we encounter is old rugs that have been stored poorly. Often these are the prized possessions of older clients who stored their rugs away and bring them in hoping we can fix the damage or clean the problem away. Unfortunately, poorly stored rugs are almost always irreparable because they are left so long, out of sight and out of mind, that they fall victim to moths and other damage, to the point that they are no longer washable or repairable. As a result, proper storage is crucial. Firstly, have your rug professionally cleaned before storing it. This ensures dirt, insects and any contaminants, like pet urine, are removed. 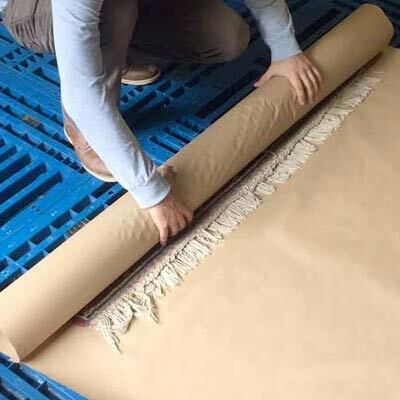 Second, while many people store rugs in plastic, for long term storage, it is best to use a waterproof paper wrap as, in the long run. Some plastic wrapping can attract and hold moisture. Finally, even though your rug is in storage, it is still important to air it out regularly. Also check that the fibres are not damaged due to rolling or from insects. If you are concerned your rug may be affected by moths or other issues like accumulated dirt, book your rug in today with Woods Rug Laundry! Our online booking system, and our convenient pick up and drop off service makes your next professional rug cleaning a breeze!